diana lynn's painting a day: got it? Milk. I tried many different mediums and backgrounds to get this glass of milk right. Nothing was working. 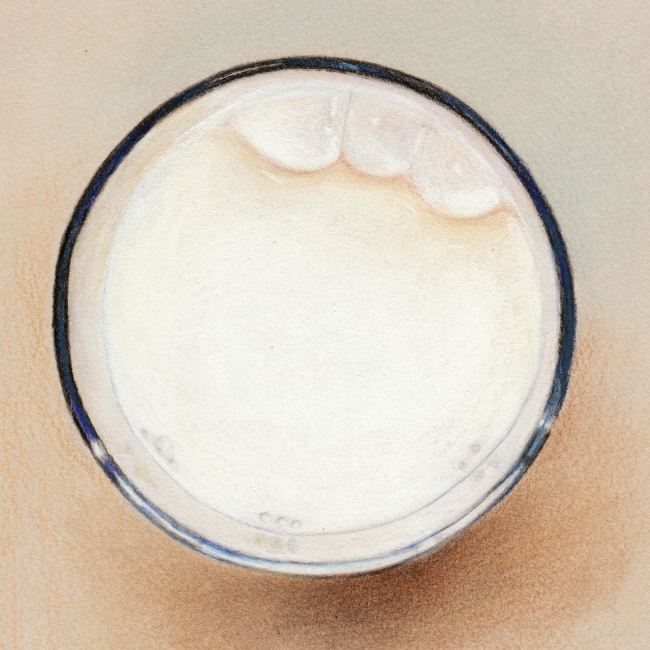 Then I decided to photograph the glass of milk sitting on the same paper I was going to do the drawing on and, yes! -- that worked. I had to get a straw and blow bubbles into it and then grab the camera and click. Bubbles flit and disappear. Done in colored pencils and white charcoal on tinted paper with more patience than I thought I had.